Dolomites rock climbing guidebook & via ferrata guidebook. HomeBooks Dolomites rock climbing guidebook + via ferrata guidebook. 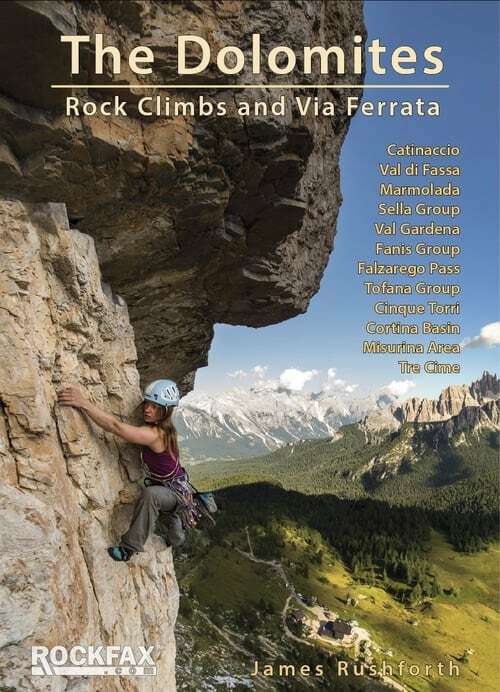 Dolomites rock climbing guidebook + via ferrata guidebook. Lots of people who comes to the Dolomites are searching for trad, sport climbing and via ferrata guidebooks. 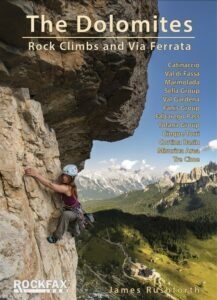 For the first time the guidebook “The Dolomites Rock Climbs and Via Ferrata”, published by Rockfax, covers all three and is undoubtedly a good choice for people who want to discover the endless climbing variety that the Dolomites has to offer. The book has been authored by James Rushforth who, together with his partner Lynne Hempton, has spent several years documenting the climbs and VFs, and taking some amazing photographs for the book. South Africa Mountain Magazine wrote a review which said that it’s “a publication that has to be the best Dolomite guidebook ever produced, and must take its place as one of the best published in the world to date”. Located in northern Italy, and representing a true mix of Italian and Austrian culture, these so-called ‘Pale Alps’ contain climbing of every shape and size. Single pitch sport crags lie beside kilometre-long traditional routes, with climbs which are steeped in history running parallel to modern bolted lines. All of the routes have a detailed description and annotated photo topo making route finding easier. 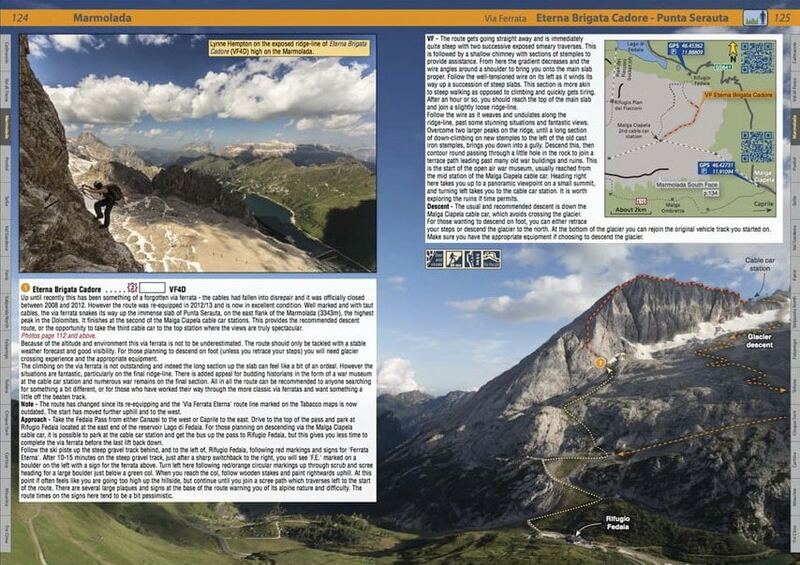 Exceptionally long two day routes such as those found on the Marmolada South face have been spread over four pages to give the best information possible. I bought this book for a trip to the dolomites. It was an essential gear and made planning much easier. It lists the details for how to get to each spot with GPS coordinates, high resolution color imagery, descriptive ratings beyond just climbing grades. Very good book for planning. Lots of information on the different areas and great pictures. I’ll have to follow up on accuracy after my trip.